Protect Sensitive Data on ALL Your Endpoints & stay ahead of threats. Protect your private data and intellectual property— Wherever it’s stored or in transit across your network, endpoints, and even mobile devices. Wroffy is a leading DLP solutions provider in India – Gurgaon, Delhi, Chandigarh, Bangalore, Pune and Mumbai with Data Loss Prevention where data is stored across your cloud, mobile and on-premises environments. 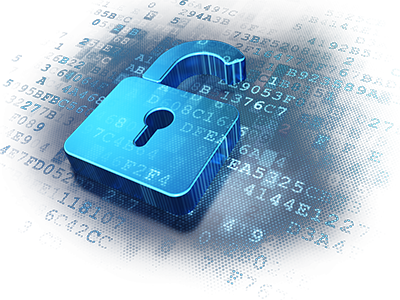 Our DLP solutions adds data loss prevention to the cloud and over all of your high-risk data loss channels, so you can conceive, guide, and protect your data more completely and effectively. Regulatory compliance, computer system intrusions, and the risk of disaster, make it essential for companies of all sizes to establish a data protection program. In the case of disaster, it is vital to protect backup media enabling rapid recovery of data and business continuity. Wroffy provides complete off-site data protection services for magnetic media, discs, film, or any other type of vital records. Protecting critical data leakage for any organization has been the main concern in today’s digitally evolving world which has rapidly increased the need for DLP solutions. We at Wroffy help you select the best DLP solution for your organization. At the same time, just procuring and implementing a DLP solution is not enough. DLP solution is highly involved technology and have intense implementation cycles. DLP implementation requires the correct planning, resourcing, management, configuration and monitoring to work successfully and protect data leakage. Wroffy Technologies being the one of the leading DLP Solution provider enable rapid deployment of differentiated services, with predictable cost and service levels, through a collaborative model designed for mutual success. We don’t sell our own cloud services or compete with you. Instead, we helps you to find some best essential antivirus and data leak protection solutions in the market. To find out more speak to one of our Technical specialists !